What is Clinical Nurse Specialist? A registered nurse who possesses expertise in a specific field of nursing care such as pediatrics, geriatrics, emergency care, oncology, etc., is known as clinical nurse specialist. Prerequisite traits and skills that a candidate must have for this position are – complex problem-solving skills, social perceptiveness, service orientation, judgment as well as decision making, mentoring, and team-building skills. If you want to know how to become a clinical nurse specialist, refer to the information given below in this article. This criterion comprises of specialties like pediatrics, geriatrics and women’s health. Pediatric Clinical Nurse Specialist – Nurses, who have expertise in pediatrics are known as pediatric clinical nurse specialists. They understand the complexity of pediatric health care and provide advanced care to the children and their families. Geriatric Clinical Nurse Specialist – Geriatric clinical nurse specialist focuses on the development and execution of treatment for the acute illnesses of elderly people suffering from diabetes, hypertension, respiratory disorders, etc. With this, they also counsel the family members of the patients. Qualities like enhanced direct patient care, leadership and interpersonal skills, consultation, education and research are essential for a geriatric clinical nurse specialist. Women’s Health Clinical Nurse Specialist – The clinical nurse specialists for women’s health get the chance to share their expertise with a dedicated team in the Labor and Delivery unit or Mother and Baby unit. They also work on the enhancement of clinical knowledge and performance within the nursing staff. This sphere covers the critical care and emergency room nurses. Critical Nurse Specialist for Critical Care – Nurses who serve critically ill adults, pediatric, and neonatal patients are known as critical care nurse specialists. They assist the doctors in emergency departments like trauma, critical care, and intensive care units. Emergency Room – This is a high level of clinical nursing practice which requires intensive knowledge and judgmental skills to meet all the complex nursing requirements needed in an emergency nursing setting. They play a crucial role within the department and provide support and guidance to the rest of the staff. Clinical Nurse Specialist for Diabetes – These nurses look after the patients suffering from diabetes. They provide a high-level of clinical expertise and advanced care to the patients. They also assist medical teams and staff. Even after discharge, if the patients under the supervision of the specialists need some changes in their regular diabetes treatment like starting insulin, changes in their medication or present insulin, they arrange a discharge appointment too after a week. Clinical Nurse Specialist for Oncology – Oncology clinical nurse specialists are the nurses who are trained in advanced clinical practice, leadership, research, and education for adult cancer control and acute oncology care settings. They look after the health habits, life, physical environment and community of the cancer patients and play a significant role in the management and prevention of their disease. Clinical nurse specialists are of 2 types on the basis of the care they provide. Clinic Nurse Specialist for Rehabilitation – Clinical nurse specialists are the professionals who specialize as rehabilitation nurses and deal with the patients suffering from temporary, constant, and permanent illness. They are an important part of the rehab team which may have many groups such as Primary Care Physician, Physical Therapist or a Spiritual Counselor. Psychiatric Care Clinic Nurse Specialist – Specialty nurses, who are trained and skilled to enhance the condition of individuals and patients suffering from mental disorder or illness, are known as the psychiatric care clinical nurse specialist. They are also named as Mental Health Clinical Nurse Specialist. They do research, educate other nurses and perform clinical leadership. They need to undertake more responsibilities as compared to registered nurses such as examining the mental health of the patient, other disorders, and psychiatric problems. It comprises of nurses who specialize in wounds, pain, and stress. Wound Care Clinical Nurse Specialist – Nurses, who specialize in dealing with surgical wounds, diabetic ulcerations, pressure ulcers and other areas of the body that are infected are known as wound care clinical nurse specialists. Clinical Nurse Specialist for Pain Management – They are the nursing specialists who support the individuals and patients suffering from any chronic pain. Also, they help other nurses to evaluate their work and practice. Perinatal clinical nurse specialists care for the childbearing family and are trained to perform all the advanced and critical issues of the perinatal patients. Improvement of the nursing knowledge, research, community awareness, consultative services, and high-quality patient care help the perinatal clinical nurse specialists to improve the clinical outcomes. The nurses who treat the victims of crime and sexual assault incidents are known as forensic clinical nurse specialist. Forensic clinical nurse specialists are involved in advanced forensic nursing science, influencing legislation, and collaborating with other healthcare, developing policy, social services, and criminal justice system professionals. This specialization demands physical strength as they need to stand most of the hours in a day for the treatment of their patients. The very first requirement to become a clinical nurse specialist is a 4-year bachelor’s degree in nursing. This course basically includes pharmacology, pathophysiology basics, patient health evaluation, anatomy, and nursing throughout all the stages of life. You also get a chance to do hands-on practice in the clinical setting. Before entering into a CNS graduate degree program, it is a must for the candidates to be licensed as a registered nurse. 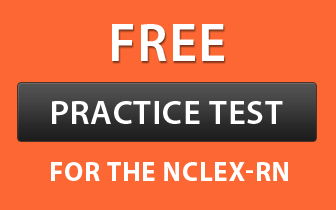 Many states want the aspirants to clear the National Council of Licensure Examination for Registered Nurses (NCLEX-RN) administered by the National Council of State Boards of Nursing, while some states may have some additional state nursing board licensure requirements. If you already have a license in one state, you can apply for one in another state by endorsement. There are many clinical nurse specialist programs that demand experience as a registered nurse in the area which you have opted for specialization. You are supposed to have 1 to 2 years of direct patient experience in clinics. You can also gain the experience by working as an RN in hospitals, outpatient settings, or private practices. Master’s degree program for the clinical nurse specialists takes 2 to 3 years to complete. However, the duration depends on the specialty you have chosen. With this, students develop advanced practice nursing skills like assessment, nursing practices, pathophysiology, pharmacology and other exceptional skills. Candidates can obtain supervised clinical experience in their opted field of specialization. All clinical nurse specialists do not have a certification credential available. These certifications are for clinical nurse specialists in critical care (by the American Association of Critical Care Nurses), orthopedics (by the Orthopedic Nurses Certification Board), adult health, gerontology, psychiatric, home health and community health (by the American Nurses Credentialing Center), and also for oncology (by the Oncology Nursing Certification Corporation). The eligibility and qualification for each certification are different and generally they want the candidate to be a registered nurse who has completed the graduation from an accredited program in the opted specialty, passed the certification exam and has gained the clinical experience in their chosen field. Many states want the clinical nurse specialist to be certified or licensed by the state nursing board. Basic requirements include registered nurse license, graduation from an accredited advanced nursing school, and certification from a well-known clinical nurse specialist certification authority. A traditional work environment for a CNS is the acute care setting, but now, their importance in the non-acute care is on a hike. As CNS holds a broad-based expertise, it allows them to work in private practices, universities, private businesses, clinics, homes, hospitals, home care systems and other similar settings. The role of a CNS depends on the individual’s area of specialization. The responsibilities of a CNS in a university or corporate setting is entirely different from a CNS in an oncology clinic. Their five regular principal duties involve clinical practice, teaching, research, management, and consulting. If you cannot join a classroom program, you can opt for online clinical nurse specialist programs. Search for such programs, get course description, program information, and other online requirements and register for it. Online programs available for CNS is a hybrid of off-campus and resident coursework. Most of the programs are scheduled keeping in mind the working nurses. The complete clinical hours are usually accessible at the workplace of the nurses. An online clinical nurse specialist program comprises courses in pathophysiology, health assessment, and pharmacology. Before enrolling in any online program, one must ensure that it is accredited by the authenticated agency. Depending upon the geographic location and experience, salaries for clinical nurse specialists may range from $40,000 to $150,000. As per indeed.com, the salary of clinical nurse specialist was $71,000 as of March 04, 2016. This pay is similar to the salaries for the jobs posted at the national level. As per payscale.com, clinical nurse specialists earned the median annual salary of $81,952 (as of Jan 16, 2016). Clinical nurse specialists having an experience of 0-5 years earned a median salary of $78K. The average pay for CNS with 5 to 10 years of experience was $81K. The average salary of professionals with 10 to 20 years of experience was reported to be around $88K. According to the U.S. Bureau of Labor Statistics (BLS), between 2012 and 2022, there will be a growth of 19% in the jobs for clinical nurse specialists. Easy access to the healthcare services is one of the reasons for this growth. Those having a bachelor degree in nursing will enjoy better prospects.